We started school on labor day this year. Not for any special reason it just worked out that way and since Bryan worked on labor day it was just like any other Monday for us. The Botanical Gardens near us was opening a new butterfly exhibit in the middle of September so I decided we would study the life cycle of butterflies for the first two weeks of school then take a field trip to the butterfly exhibit. 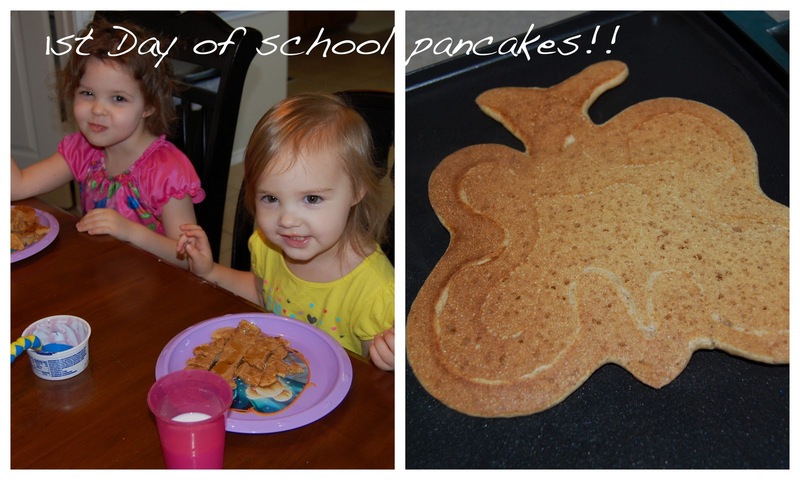 So...I made butterfly pancakes! I checked out several butterfly books from the library. 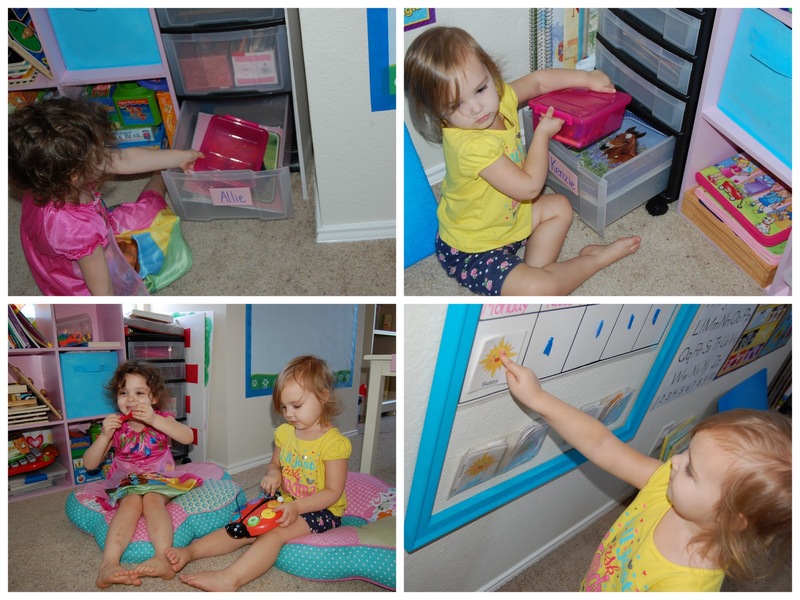 The girls got to choose their own binders to keep their assignments in. 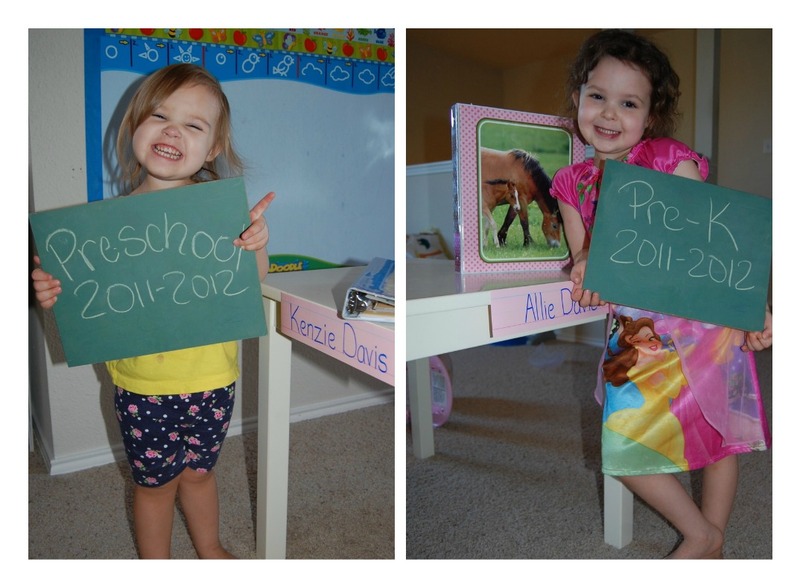 Both of them chose horses over any of the Disney character binders! Kenzie is in Tot School or Preschool and Allie is officially in Pre-K.
Kenzie was very excited to be starting school with big sister. I put their names on drawers and this is where they will keep their binders and school boxes. We started out with circle time. We sang a song about butterflies with our instruments and looked at our butterfly books. Of course we did the weather, day of the week, month, date, shapes and colors for Kenzie, and counted to 30. Every day before we sit down to work on our assignments we say the Pledge of Allegiance. Kenzie knows half of it by now. Allie learned it last summer and is happy to help sister with the words. Working hard on their assignments. Allie's writing assignment each morning is writing out the memory verse of the week. 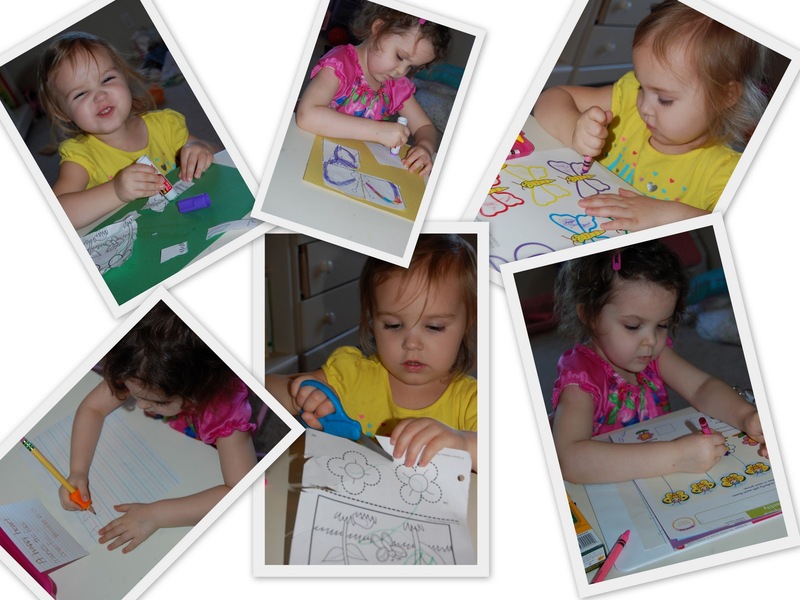 Kenzie was excited to use scissors for the very first time and of course she loved gluing! She requests a cutting activity every day now. Kenzie did great with her coloring assignment. She had to color each butterfly the same color as it's wings. We had a great first day and since I am late getting around to posting this we have already gone on our first field trip to the butterfly exhibit. Pics of that day to come.